Long distance relationships are often looked with the skeptical eye in today's world; the distance is considered a relationship killer. But try telling that to Australian journalist of South Asian ethnicity, Yalda Hakim and her husband. When work rendered them apart for a long time, they came back together stronger and the distance only made them more appreciative of the other. The Afghan-born Australian journalist is famous for her courageous field journalism and story presenting for SBS World News Australia and BBC World News. Currently, she is working as the presenter of BBC's Impact, or Impact With Yalda Hakim. One of the reasons for Yalda’s journalistic success is her knowledge of multiple languages--she speaks five different languages apart from English: Dari, Urdu, Hindi, Persian, and Pashto. Born on 26 June 1983 in war-torn Kabul, Afghanistan, Yalda had to flee her home country when she was only six months old. After traveling for days on horseback, entering Pakistan and spending two years there, the Yalda family relocated to Australia as immigrants. Yalda attended Macarthur Girls High School in Sydney and went on to study Arts in Macquarie University. Yalda stands just a tad shorter in height than an average woman. According to Yalda's sister, Mariam, Yalda had an affinity for journalism since an early age. Thanks to that affinity, Yalda went on to join SBS World News Australia and its Dateline reporting team. She later became co-host of the show with Mark Davis. 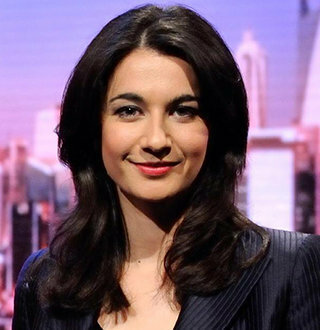 After almost half a decade with SBS, Yalda joined BBC in December 2012 as a correspondent for BBC World News. Within a few months, she made her screen-debut presenting a documentary series, Iraq: Ten Years On. And by 2014, she was presenting her own show Impact With Yalda Hakim. During her time in SBS and BBC, Yalda has been famous for her courageous reporting, unflinchingly diving into war-zone like Afghanistan, or Libya during Arab Spring, for the discovery of truth. For her efforts, Yalda has gained numerous accolades including Australian Young Journalist of the Year and United Nations Media Peace Prize. For her works, Yalda earns a huge annual salary, whose numbers could be in and around $80 thousand to a hundred thousand per annum. Yalda is as successful in her personal life as in her professional one. She stopped being single eight years ago and married her then-boyfriend Australian avionics engineer and former RAAF (Royal Australian Air Force) sergeant, Abed Rashid. While throughout their married life work has kept the husband and wife single for the prolonged period of time (initially Abed’s assignments in Air Force and these days Yalda’s journalistic assignments all over the world), they have remained married, supporting each other, loving each other and sacrificing for each other. There haven't been any rumors of affairs of Yalda with another boyfriend or of Abed for that matter. Keep Reading: Vanessa Villanueva & Chris Perez Divorce Talks | Now: Married Or Single? Even when not on assignments, Yalda is based in London, working for BBC, while Abed lives in Oxford due to his work obligations. But they manage to squeeze times in between their schedule and find a few days in a week to stay together and keep their romance alive. Athena Jones Age To Net Worth - Who Is Her Husband & What's Her Salary?